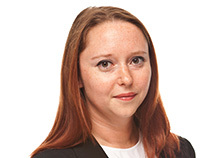 Laura James joined the GSG in March 2019 as Events Lead, based near London in the UK. She has worked in events since 2000, most recently as Head of Events Logistics at the UN-supported Principles for Responsible Investment (PRI), project managing and growing its annual event PRI in Person for the past 6 years. During her time at the PRI she became increasingly interested in sustainable event management. With expertise in the not-for-profit and association sectors, prior to the PRI Laura worked for organisations including the Association of Corporate Treasurers, Praxity, Brintex, Optimedia, the British Institute of Radiology, Nuffield Trust and the International Water Association, running a wide range of UK and international congresses, conferences, exhibitions, seminars, receptions and gala dinners. She continues to seek out creative ways to ensure the events she manages do not negatively impact the environment or local community.